Mandeep joined these Chambers in 2009. He had been invited to apply for a tenancy after acting as defence junior to 9KBW tenant Julian Jones in a 16 handed conspiracy to cultivate cannabis case at Southampton Crown Court (R v Duc Minh Tran and others). His eye for detail and capacity for hard work had allowed the defence team to be ready for a trial in a shortened period of time, after Mr Tran had been joined belatedly to other defendants facing trial. Mandeep’s tenacity, thoroughness and fearless approach to defending his clients led to continued instructions to defend those facing serious charges. Examples of cases in which he has defended include a case involving multiple counts (33) at Ipswich Crown Court (allegations of professionally organised burglaries against members of the Travelling community), and also a mentally disordered defendant facing sexual allegations at Snaresbrook Crown Court. The same characteristics of his approach to cases have led to him also developing a particular popularity with instructing solicitors who specialise in privately paid motoring law cases. Mandeep will fight tooth and nail, within the boundaries of the law, to prevent, wherever possible, those whom he represents from losing their licences. He has had particular successes in cases of special reasons, exceptional hardship, excess alcohol (including all the statutory defences), driving while unfit, and offences of failing to comply with requests for information. He is particularly astute not to waive in any way his clients’ rights and to ensure that the Prosecution do not overstep the mark and turn case management powers under the Criminal Procedure Rules into ways in which to make shortcuts to proving the case against Mandeep’s clients. 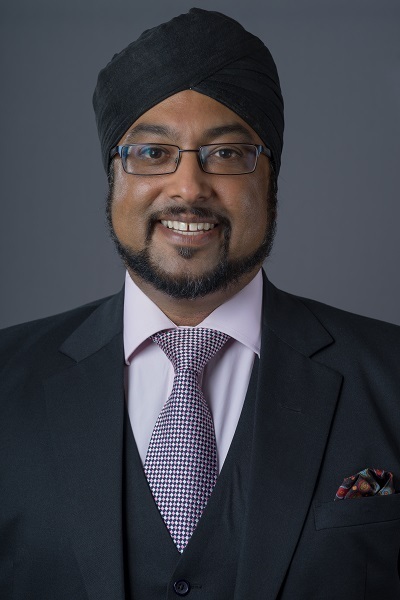 Mandeep has very strong numeracy and, before coming to the Bar, worked for the Financial Services Authority where he carried out actuarial calculations before going into supervision of firms. His scientific and numeracy background and his ability to read financial documents have served him well - enabling him to undermine expert evidence in many a case. Away from his defence work, Mandeep also prosecutes, and is on the CPS List at Grade 1, as well as acting for the DVLA and DWP. He believes that experience on each side of the criminal process makes him better at the other. Mandeep has a growing direct access practice dealing with most aspects of Traffic law. Away from the law, Mandeep enjoys the outdoors, spending time with family and is a proud keeper of tropical fish. He enjoys watching and playing badminton and also has an active role in his local community.